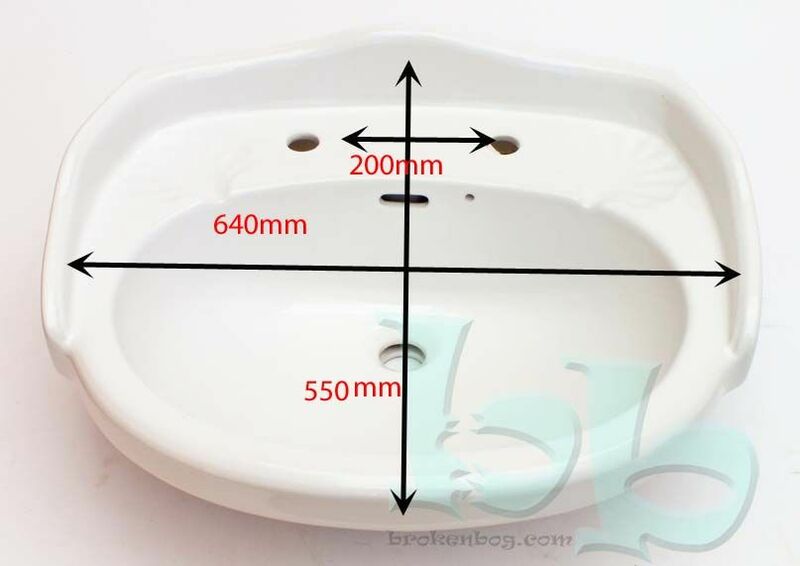 Shires Durham basin (sink) and pedestal, ideal replacement for the Sanitana Colonial basin widely distributed by Heritage Bathrooms (and others) in the 80s and 90s. 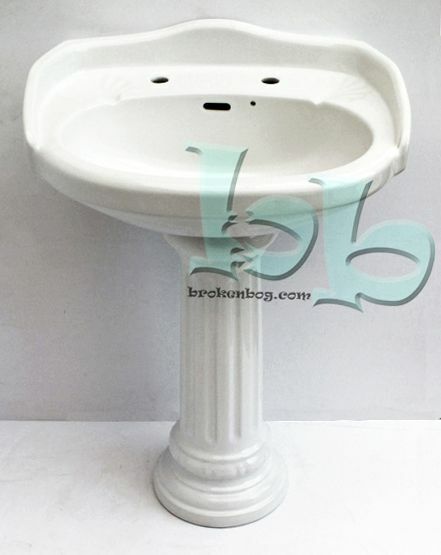 This is a very similar style of basin and pedestal, with the fluted base to the pedestal and ridges on the front of the basin echoing closely the original Colonial style. 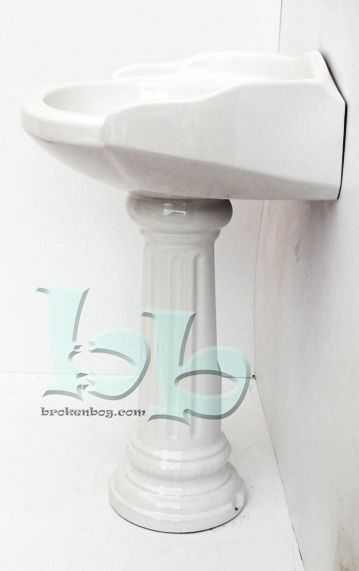 Also very similar in size, we've found it to make an ideal replacement for the Sanitana Colonial suite. 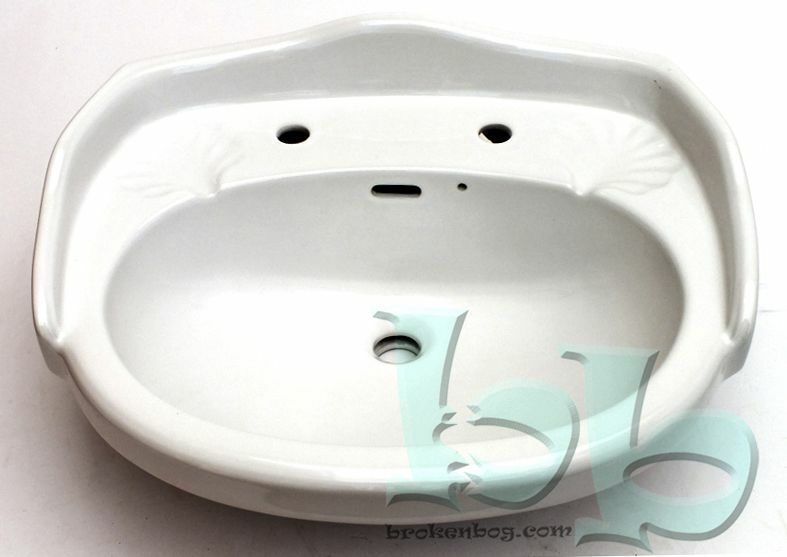 Also suitable as a stylish traditional basin for a new installation. These are glazed vitreous china items, fully compliant with current UK water regulations. Price above excludes delivery - available for collection from our warehouses in Churt, Surrey GU10 2LN or Risca, Gwent NP11 6GQ or can be securely packaged and sent by carrier for an additional charge. For UK mainland addresses add £48.00, Scottish Highlands add £80.00, Northern Ireland add £90.00, Southern Ireland add £100.00. For delivery to other locations please ask for details.